Does Medicare Pay for Observational Hospital Visits? Just being in the hospital doesn’t necessarily mean you’ve been admitted these days. 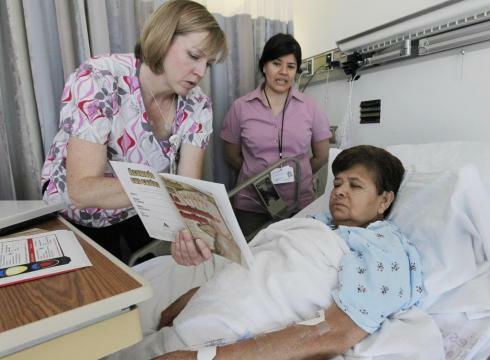 Medicare can cover hospital care either under Part A or Part B. While Part A specifically deals with hospitalization, it doesn’t apply to “observational stays.” That when you’re held for observation instead of being officially admitted by a doctor. You could be held for observation just for a few hours or for a few days. If your stay is classified as “inpatient,” you’ll have Medicare’s Part A deductible before your hospital bills will be covered. For 2012, the Part A deductible is $1,156. After you have satisfied the deductible, Medicare covers hospital stays for up to 60 days with no co-payments. Should you still need hospital care after 60 days, Medicare will cover all except $289 per day for the next 30 days. On the other hand, if your stay is classified as “outpatient,” your care will be covered under Medicare Part B. That requires you to satisfy the $140 annual deductible (in 2012) before Medicare picks up the tab on your health care bills. However, Part B only covers 80 percent of most medical bills leaving you with 20-percent co-insurance that you have to pay out of your own pocket. If you have a huge medical bill, that 20 percent can quickly grow to be thousands of dollars. When you’re in the hospital, be sure to ask, and tell someone likely to be notified to ask, if you’re being admitted as an inpatient or an outpatient held for observation. Medicare might be confusing, but we can help clear up some of the confusion with our All About Medicare page. If you need further assistance, you can call us and talk to one of our personal advisors to discuss your Medicare options. This entry was posted on Thursday, October 11th, 2012 at 10:25 am	and is filed under General Medicare. You can follow any responses to this entry through the RSS 2.0 feed. You can leave a response, or trackback from your own site.